When it comes to great Educational games for the PC, this is an absolute must have game. We spent over 4 hours reviewing Blue Planet 3D Aquarium and were left amazed by the realistic graphics and animated scenes. The sea life is quite spectacular, bringing to life the world of the underwater world. The options for creating your own Seaworld are very extensive, with over 26 alternative sea creatures from Snappers to sharks. This classic educational game offers Widescreen capabilty as well as excellent sounds and graphics. To say this is a classic game is an understatement. The 3D graphics are simply outstanding and well worth taking a look, especially if you have children. A great learning resource, offering fantastic value for money. 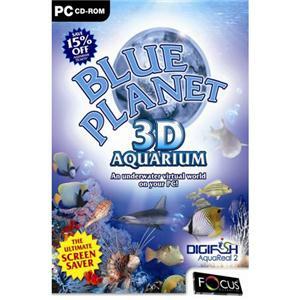 We have also compiled a Review System for this, of which Blue Planet 3D Aquarium is Rated as Five Stars, the highest possible score available from the Game Review Team.